Outdoor flooring is no longer an afterthought, as it can connect your outdoor and indoor spaces, creating a seamlessly flowing living area. One of the best ways to achieve this is to continue with the same flooring material from the inside out, separating the two only with a set of sliding grass doors. There are practical considerations — you do need to ensure your flooring is able to withstand whatever the weather throws at it. And you will need to factor in good drainage and an anti-slip surface. 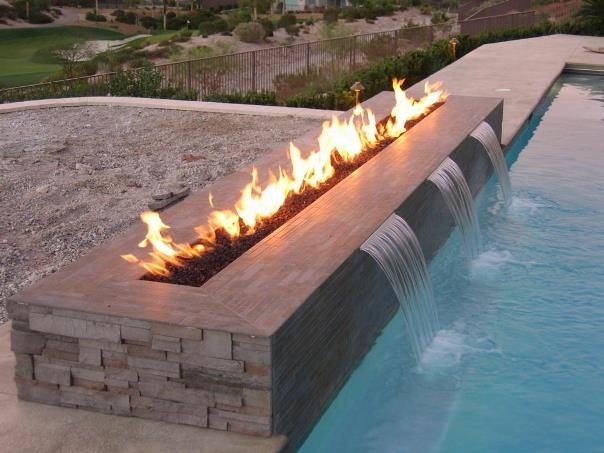 But, done well, it is a great way of blurring the boundaries between indoors and out, and boosting your usable space. The natural warm color and texture of timber decking can be used to transform your garden and extend your living space outside. Choose from budget friendly composite materials, softwoods for their classic decking look, or hardwoods, such as ipe, for their durability. 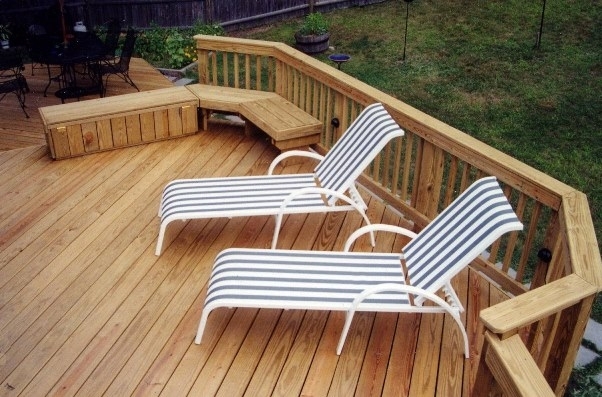 Pleasing to the touch and great under bare feet, a small basic deck should take a weekend at most to lay. Decking also has the advantage that, with frames, beams and columns, it can be used to make a level surface over a sloping garden. Good-quality timber should not split, crack or warp. Look out for decking sourced from sustainable forests, and also for thermo-treated options, such as Thermo-Ash from Quality Timber Decking, which has gone through a process that makes non-tropical (so more readily available) hardwoods suitable for use outdoors. Grooved boards are considered better for slip-resistance, but they can be more difficult to keep clean. Unless you are willing to regularly stain o oil your decking, all timber eventually weathers to a silver grey. Also worth a look is Miliboard decking, an eco-friendly composite that replicates timber with a moulding process. 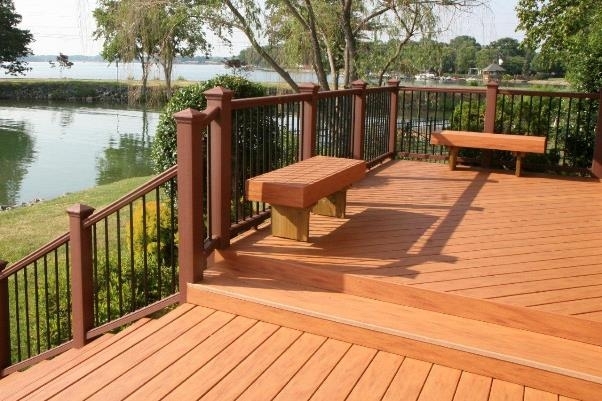 It can be cut and fitted like regular decking, but is timber-free, which means no algae growth or splinters. It’s also hardwearing, retains its color and is anti-slip. 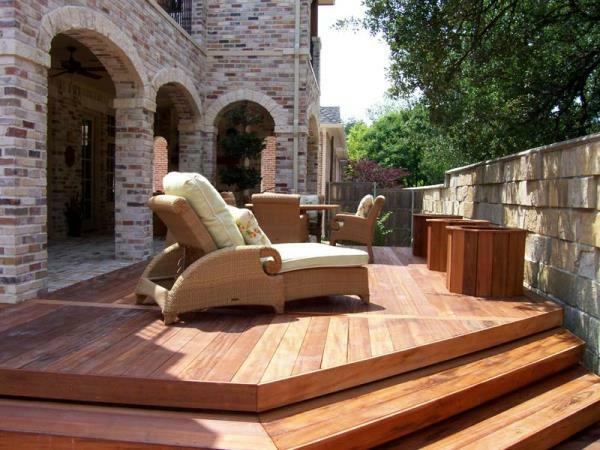 The higher the cost, the more stable the timber, so expect to pay from $30 to $70 per sq m for decking. 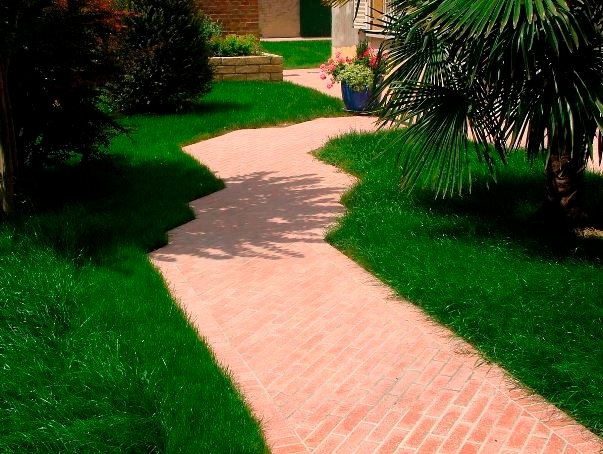 No mud, no mess, no mowing, no maintenance is the mantra for artificial lawn. 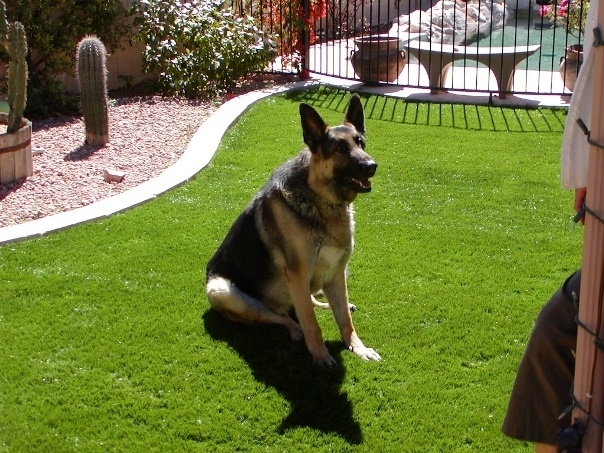 Made from synthetic polymers, some artificial grass is amazingly realistic. You can choose from different pile colors and thatch thicknesses to obtain a look that suits, from lush green to neon pink. Look out for products that are porous, feel authentically cool to the touch don’t fade and are manufactured to last. Choose well and it’s not unreasonable to expect an artificial lawn to last for 20 years. If you have children and/or pets, the advantages will be obvious. You won’t have problems with mud being traipsed into the house or with the lawn being destroyed by heavy use — artificial products are designed to cope with football games and wear and tear under swings. This surface is also worth considering if you have an area of garden where grass simply won’t grow — underneath a very shady tree, for example — and it also works on sloping and contoured areas where grass can be hard to seed, maintain and mow. Expect to pay from about $23 per sq m. If you have an alfresco party coming up and need your garden looking its best in a hurry, you could also consider hiring an artificial lawn. Of all the outdoor flooring choices, the natural colors and markings of stone provide one of the most beautiful backdrops for the plants in your garden. The same stone can also often be used indoors and out to increase the feeling of an open living space. Take the interior zoning concept out into the landscape. 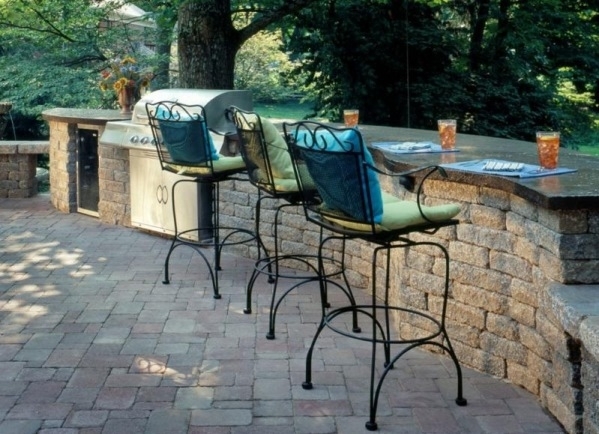 Use a variety of sizes and materials to create different areas in your outdoor space,’ To avoid cracking and failing, exterior stone must be frost resistant and able to withstand the freeze-thaw cycle of our climate And for better slip-resistance, choose a stone with a textured surface. Tiles (defined as 20 mm thick and less) are usually laid on a concrete substrate with adhesive and grout, just as with interior tiling, so the surface must be level (For thicker paving, see overleaf.) If you love the look of antique stone but don’t want to go for reclaimed slabs. Using recycled materials, it gives an authentic look with eco and frost-proof credentials. For natural stone, expect to pay from 225-30 per sq m for sandstone or limestone, and considerably more for unusual stones. 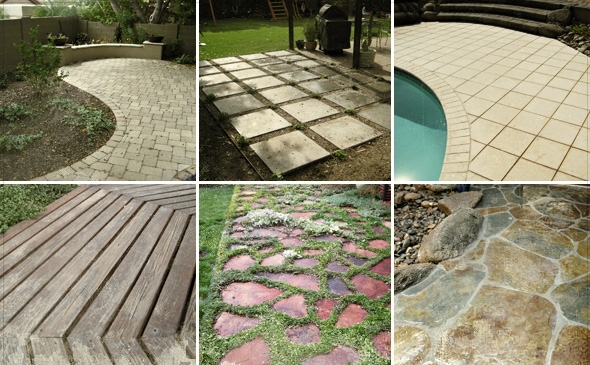 For the look of a classic patio, paving is the way to go. It comes in a wide range of materials, including stone and concrete, which can be manufactured and processed in different ways for different textural effects. At around 22-40 cm deep, paving slabs are thicker than most tiles, and can usually be tamped down onto a sand/cement-mix surface. Versatile and disable, good-quality paving should also have good slip resistance with a riven or coarse surface. Be aware there can be considerable color variation in natural stone paving, so buy from a reputable supplier who will colour select so there’s less of a patchwork result. If you’re after a totally uniform look, you are probably better off looking at a reconstituted product. In a contemporary, crisp scheme, try laying paving in a linear or ‘coursed’ pattern. Alternatively, look at paving like the silver grey Ventura slabs from Bradstone. These have a grooved surface that will give a contemporary, graphic feel. Bricks also work, and gre an instant rustic look. New bricks cost less than original Victorian ones, but for an authentic weathered look, it’s worth seeking out reclaimed ones. Expect to pay about $20 per sq m for Indian sandstone or a reconstituted product (although concrete isn’t always cheaper, especially decorative slabs). If you’re looking to create a seamless flow between interior and exterior spaces, porcelain tiles are ideal. Their man-made ceramic-silica base is fired at high temperatures, making them suitable for almost any flooring use. They are easy to maintain, colour fast, non-porous and frost proof, making them an ideal outdoor surface. They come in a huge range of colours and styles, from stone and decking lookalikes to simple white or classic greys. Look out for porcelain tiles with the feel of beautiful materials, such as polished concrete or textured cement. And consider greys and minks, which are very much the colors of the moment.’ What makes porcelain tiles special is that, unlike natural stone, they have a regular thickness, so it’s easier to achieve an uninterrupted flow between indoors and out. Rain can, however, make porcelain surfaces slippery, so choose non-slip finishes with texture and ensure tiles are laid on a professionally levelled surface. Larger tiles with fewer grout lines add to the sense of space. Expect to pay from about $30 per sqm, rising to more for very large formats. Don’t be put off by the unattractive name, because aggregates can actually look really modern. Gravel, chippings, pebbles, slate and cobbles come in several different colors and size mixes (from neat 1 cm pieces to chunky 9 cm cobbles), and make a great solution for uneven surfaces, particularly on paths and around plants and water features. Aggregates are also a great way to get creative, as coloured gravels can be used to add a bright pop to planting. They also allow water through to plant roots and help them retain moisture. Aggregates tend to look more natural than linear paving slabs or tiles, and can be used to create a meandering route through your garden. And you don’t need to be an expert to lay it: simply cut open a bag and pour. They do have a tendency to spray out from where they have been laid, especially on driveways, so you may need to factor in regular sweeping and top-ups. And, although gravel can help to inhibit weeds, it won’t get rid of them altogether, so you may have to incorporate a weed control membrane into your plans, or spray regularly with weedkiller. When you are choosing, look out for recycled products, too. We like Stone Warehouse’s Eco Aggregates range, with a red shade made from crushed bricks and an ivory made from tiny fragments of bathroom basins. Eco Aggregates cost around $125 for an 875 kg bag, but decorative aggregate prices usually start at around $5 for a 20kg bag, which will cover roughly 0.3 sq m.
A few of our information about the This Outdoor Flooring Options, Variety and Types , Read Article, may be beneficial in the form infirasi to create a beautiful home and comfortable for your family and those you love. No've You've finished reading an article on This Outdoor Flooring Options, Variety and Types , Read Article and many articles about modern home in our blog this, please read it. and url link of this article is https://eyjamasliza.blogspot.com/2016/09/this-outdoor-flooring-options-variety.html Hopefully discussion articles on could be useful and provide more knowledge for your life and family.